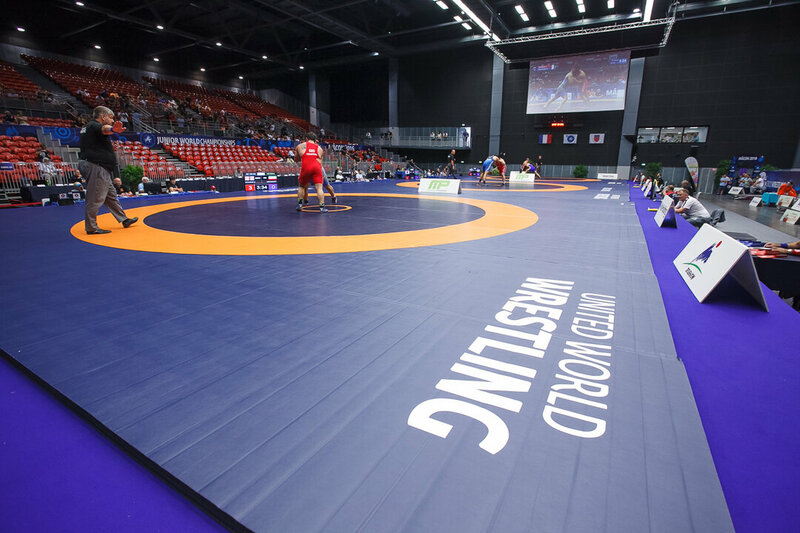 TRNAVA, Slovakia (August 31) - The 2018 Junior World Championships kick off September 17-23 and each participating nation has summited their final entries to United World Wrestling. Nearly 265 Greco-Roman wrestlers from 43 nations will make the journey to Trnava, Slovakia with hopes of becoming a Junior World Champion. Three reigning champions in Kamal BEY (USA), Kerem KAMAL (TUR) and Amin KAVIYANINEJAD (IRI) are registered to defend their titles from last years Tampere Junior World Championships. Aleksander KOMAROV (RUS), the three-time age-level world champion and most dominant age-level wrestler in the world was expected to compete for Russia at 82kg but is not registered for the Junior World Championships. Instead, Russia has entered Shamil OZHAEV (RUS) at GR 82kg. 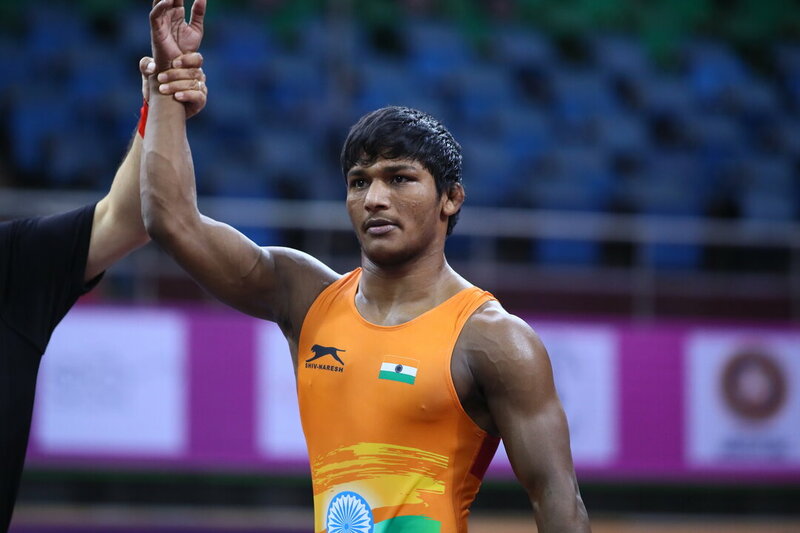 Greco-Roman wrestling begins on September 17 and will be wrestled through September 19. 2016 Junior World Championship arena shot. Photo by Justin Hoch. Mohamed ELSAYED, 2016 Cadet World Champion. Photo by Justin Hoch. Vijay VIJAY (IND), 2018 Junior Asian Championship runner-up. Photo by Sachiko Hotaka. 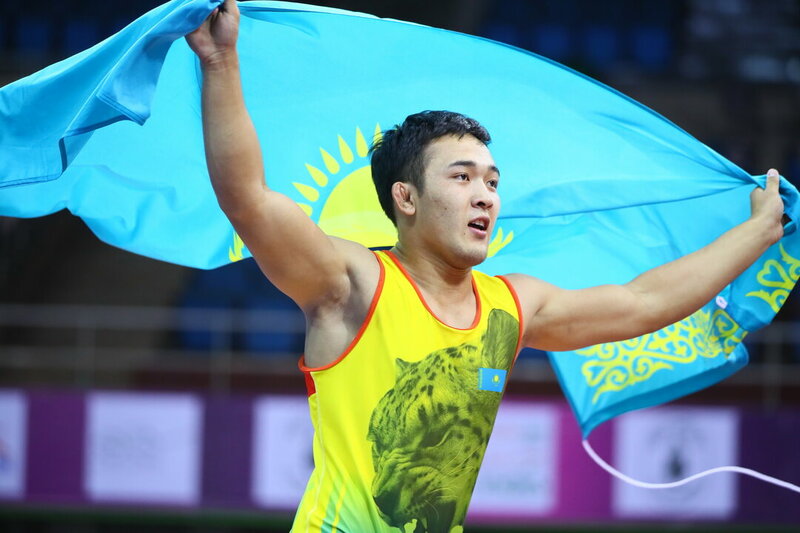 Merey BEKENOV (KAZ), 2018 Junior Asian Champion. Photo by Sachiko Hotaka. Oleg AGAKHANOV, 2018 Junior European Champion. Photo by Max Rose-Fyne. 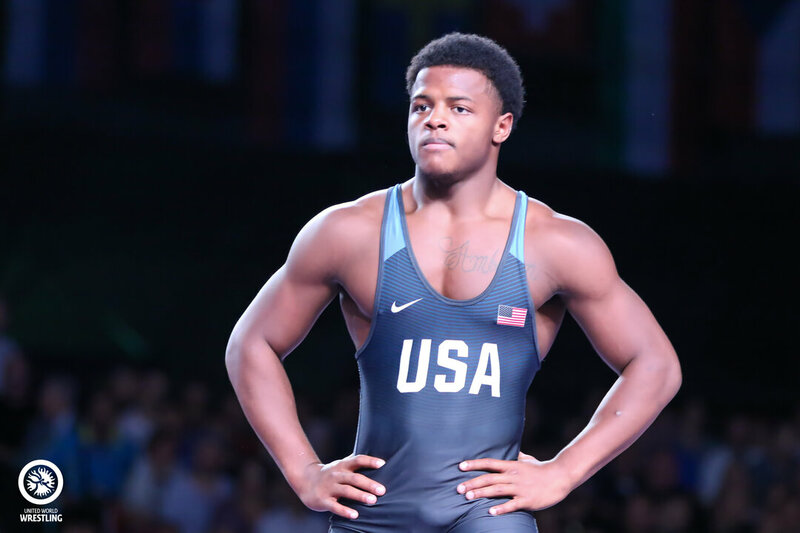 Kamal BEY (USA), 2017 Junior World Champion. Photo by Marion Stein.